* Terms and Conditions apply. Finance is subject to status. Applications must be a minimum age of 18. A guarantee may be required. Ask in dealership for details. Terms and conditions apply. Mileage allowance is based on 6,000 miles per year. Excess mileage charges apply. Elect 3 is a Personal Contract Purchase agreement with an optional final payment if you decide to keep the vehicle. Finance is subject to status and applicants may require a guarantee. 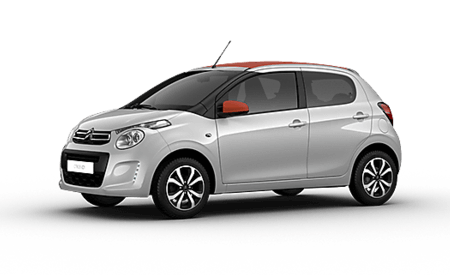 The Citroen C1 is now at Charters Citroen of Aldershot. With a bold new look, a variety of new colours to choose from along with the option of a rollback fabric roof for those sunny days, the new C1 is an integral part of the Citroen family. The Citroen C1 retains its agile manoeuvrability that has made the previous model so very popular. It’s new cheeky design is complimented by an elegant and functional interior that is uncluttered and stylish. These useful additions to the line-up is often unheard of in this category and yet Citroen want their drivers to know the benefit of creative technology in their least expensive model. Charters Group respect your privacy and will not share your information with third parties for their independent use. We would like to stay in touch with you to keep you up to date with our latest product news, marketing services and offers. If you would prefer not to receive future information by either of the methods above, please indicate by un-ticking the relevant box. Can I Part Exchange my old car towards the deposit? Yes you can. In fact, Charters have made it even easier to get an initial part-exchange quotation. We would always advise coming to visit us to get a firm offer for your vehicle. Any quotation made online is a preliminary offer only. The price offered to you is made as full or part payment towards the vehicle of your choice. We pride ourselves that with over 100 years in the industry, we can find a price that suits you and save you the worry of advertising your old vehicle privately. We even offer part-exchange booster offers (also known as “minimum part exchange deals”). That means, whatever condition your vehicle is in, we can offer a set price towards your next car. Look out for these deals in our offer section and if you can’t find anything that suits, just ask. For a preliminary vehicle valuation, just visit this link and complete the form or call us on 01252 21 31 50 (select menu option 1). We’re here to help. We understand that many of us may have concerns about getting a new or used vehicle financed. 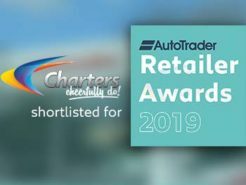 Charters Citroen understand that in the 21st century, a car is a necessity for most of us and we want to make the process of buying a car (or van) as painless as possible. We have now integrated a fully secure online finance application which allows our customers to check whether they will be accepted for finance without the embarrassment of not being accepted. If you are unsure as to whether car finance is available to you as an option, let us do the hard work for you. You can order your vehicle and arrange finance online and through our many partners and networks throughout the UK, get the vehicle delivered to your door. It’s just another thing we cheerfully do! What is Citroen Simply Drive? Citroen’s SimplyDrive payment system is a cost effective solution to driving a new Citroen car. Rising car insurance costs mean that driving has become an expensive task. However Citroen has introduced SimplyDrive to combat this. With nothing more to pay except fuel, the Simply Drive car finance scheme is even open to young drivers (as low as 18 years of age) thanks to Black Box Telematics. 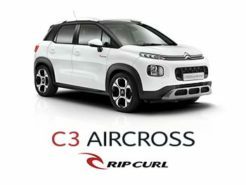 All prices quoted on Citroen Simply Drive are examples only as monthly payments is calculated on individual insurance requirements (no claims discount, location where vehicle is kept at night, age etc). Citroen Simply Drive is based upon an Elect 3 finance solution which offers our customers the ability to offset the guaranteed future value of the vehicle until the end of the contract (36 months later). Pay the optional final payment and keep the car (in a lump sum or an agreed amount of payments). What is Elect 3 and Elect 3 Pro? Elect 3 (and Elect 3 Pro for commercials) is an affordable car finance solution that allows our customers to benefit from a lower deposit and lower monthly payments and still drive the car they love. Also known as a PCP Personal Contract Purchase car finance solution, Elect 3 is based upon expected mileage usage (we can advise on this). Guaranteed Future Value (GFV) is based upon this expected mileage and the future value of the car (what the vehicle is likely to be worth in 3 years) will be removed from the payments. This means that you will only ever make payments for the length of your agreement. Most of our customers choose to upgrade their vehicle to a newer model as they never have to worry about expensive maintenance costs (such as the worry with MOTs). This way, they are never able worry about the optional final payment. Charters Citroen now offer the Elect 3 package as an all-inclusive solution called SimplyDrive. It takes the worry out of motoring. For more on Elect 3 (and Elect 3 Pro), see this link. For more on our Citroen SimplyDrive all-inclusive payment scheme click here. What is Black Box Telematics? Black Box (Telematics) technology is a small device fitted into vehicles that monitors driving habits. For those young customers seeking an all-inclusive finance solution (such as SimplyDrive), we are able to offer included comprehensive car insurance thanks to this technology. The insurance company can monitor how the vehicle is driven and ensure that it is driven with care. For our customers, this means cheaper payments on Citroen SimplyDrive and the ability to get even cheaper car finance and a brand new car included into the monthly payments. For those who are eligible for the Motability scheme, choosing a vehicle is paramount for easy access, economy and comfort. Our vehicles can be adapted to suit (as part of your allowance). Motability scheme allows you to exchange some (or all) of your allowance towards a new Citroen which you can replace every three years (provided your eligibility doesn’t change. Motability Contract Hire offers are displayed here (for those receiving the higher rate of allowance) and these customers only pay a small deposit (sometimes nothing at all) and drive a vehicle over the three years with nothing else to pay. Motability Finance Scheme and eligibility is explained in full here. Payments: (over an agreed term: usually 12, 24, 36 or 48 months). These payments are calculated on the guaranteed future value (GFV) of the vehicle; taking into account the mileage the customer has agreed to. If the customer exceeds this mileage allowance, a pre-agreed payment is due (charged in pence per mile – ppm). Maintenance is not generally included but can be added as an option. Many of our business customers choose this form of finance at it allows them to keep their fleet fresh (being able to update at the end of their term), affordable and worries low (thanks to the low maintenance cost). For more on personal and business contract hire, see this link. A guarantor (or guarantee) is a term used to describe a second individual signing the car finance agreement. Sometimes car finance is not offered to an individual without a guarantee/guarantor. This means that our customers are able to benefit from a finance scheme if they have a family / friend support their application (who is credit-checked by the finance company). A guarantor / guarantee is responsible for keeping up the payments of the agreement if the primary user (the customer) is not able. A guarantor / guarantee is often used for those of us who have had difficulties in the past with getting credit or young customers. Many of our customers choose their parents or a close family member to countersign the agreement. Being asked for a guarantor to countersign your agreement is not an indication of bad credit history but often a reflection of our current climate. 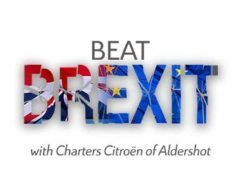 How does Brexit affect new car sales? 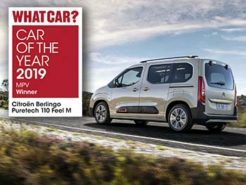 New Citroën Berlingo was named ‘MPV of the Year’ at the prestigious What Car? Car of the Year Awards in London earlier this evening. The judges praised the model for its spaciousness, efficiency and passenger comfort. 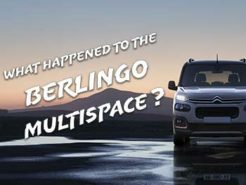 Is the Berlingo Multispace still on sale? 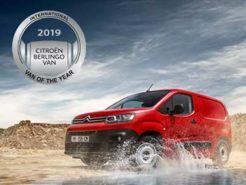 New Citroen Berlingo Van has recently been awarded “International Van of the Year 2019” weeks before the official launch date. 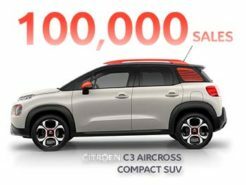 Citroen C3 Aircross compact SUV hits 100,000 sales in less than a year since it's launch in October 2017. Over 70,000 of these sales occurred in 2018 alone. 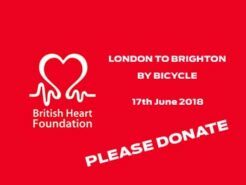 Our Sales Manager is cycling from London to Brighton for charity on Sunday 17th June 2018. Please help by donating what you can to Adam's JUST GIVING PAGE We're so proud of Adam Smith (our Sales Manager) for dedicating his Sunday (and more importantly) Father's Day to raising money for the British Heart Foundation. f you run a local business in the Aldershot, Farnborough or Camberley district or even further afield, our Business Centre Manager is here to help you complete your fleet. What does PCP personal contract purchase actually mean? Is Elect 3 right for me? Will I own the car at the end of my contract? Let us take the worry away by answering your questions thoroughly and concisely.